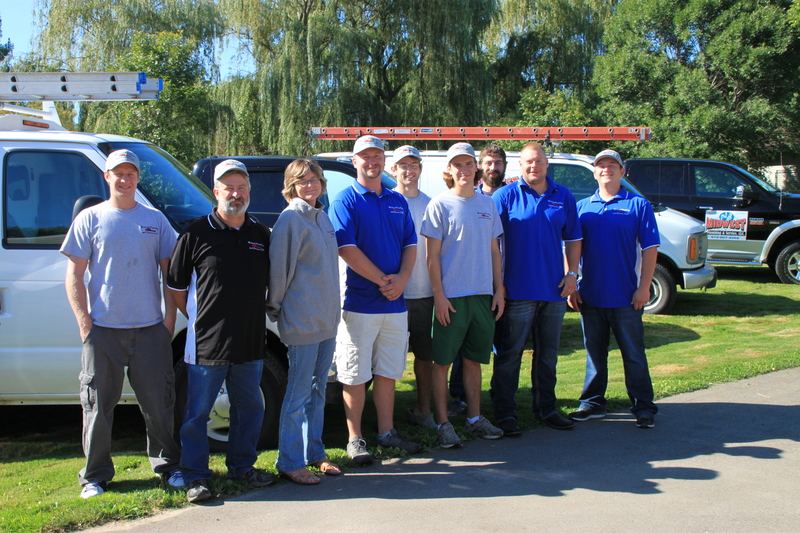 At Midwest Plumbing and Services, we have technicians and employees that work hard every single day to ensure that each customer in the Twin Cities metro area is satisfied with the work that we do. To secure this satisfaction, we treat our customers the way that they deserve to be treated. This means excellent customer service, arriving on time to perform your repair, and being thorough to make sure the repair is really complete before we leave the property. Combined, our Minneapolis & St. Paul plumbers have years of experience to put to work for you. You can count on them having knowledge of current codes, the latest plumbing techniques, and they will use only the best tools to get the job done. It is through the experience that our plumbers have that they are able to identify the problem with your plumbing as quickly as possible, know exactly what parts and tools are needed to repair the issue, and ensure that the repair is done quickly so that you can go on with your day. Because we are well equipped, we carry many parts and tools on our truck so that all your plumber has to do is go to the truck to retrieve the part or tool needed. We are aware of the most common types of piping and components used in plumbing in the Twin Cities and ensure we have those materials on-hand so that you do not have to wait days or even weeks for the repair to be completed. And because we have the materials and tools needed to perform a repair on the spot, we are also able to provide 24 hour emergency services to those that encounter a plumbing emergency after hours. Because a plumbing issue can come about at any time, we can be there at any time to rectify the issue. This can minimize damage that can be caused by faulty plumbing, which will save you money in repairs to areas around the plumbing that failed. In addition to experience, our full line of services, and the ability to complete repairs quickly, we offer first class customer service. This means being available to answer your questions and providing you with an upfront estimate that enables you to make a decision about the services being offered to you. We understand that you are most likely working with a budget and also understand that you need to have service that is of a very high quality. We can work with your requirements to ensure that you have everything that you need when you need it. When in need of a plumbing service that you can trust and will get the job done according to your needs and specifications, Midwest Plumbing and Service is here to help you. We pay close attention to every detail, regardless of the size of the job, and ensure that it is done the way that it is supposed to be done. We adhere to the highest quality standards, comply with local code, and we are bonded and insured. To learn more about our services, call us at 612-807-8968 to schedule your free estimate.